April is probably my favourite time of year in Cyprus. The weather is warm enough that we do not need to run our heating. Yet it is sunny enough that we can rely on solar power to heat our water. It’s cool enough in evenings that we still need sweaters, and a duvet overnight. But Cyprus in April is warm enough in the daytime that it’s often possible to wear just a tee-shirt with long trousers. 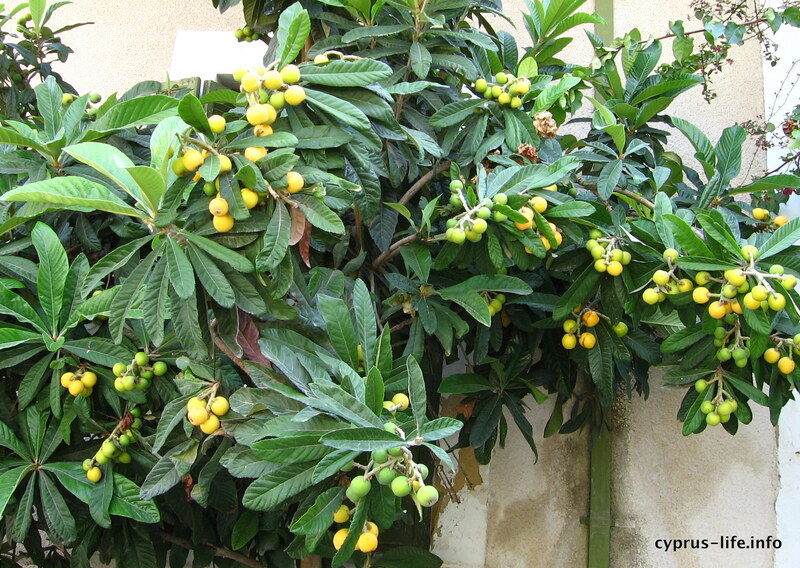 Rain is still a possibility during April in Cyprus, but it tends to be light and infrequent. However, the heat of summer has not yet arrived. So the island still looks green with long grass and weeds in undeveloped areas. There is usually quite an influx of visitors from the UK and Central Europe, over the Easter or Spring break. So tourist shops, restaurants and hotels have usually finished their refurbishments and are open for business. Fruits and vegetables continue to be excellent value. Summer fruits such as peaches and apricots start to appear in the shops, often locally grown. There are sometimes strawberries, too, although their main months are February and March. 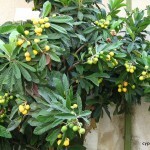 A local treat is the mespila (loquat), which looks a bit like an apricot. If you can find some to eat straight from the tree, they are delicious. Unfortunately they have rather large stones and do not keep well after being picked. So the mespila in the shops are not quite so appealing. Friends have commented that they did not really know how some produce was supposed to taste until they tried the sun-ripened non-imported versions in Cyprus. Lent is likely to be underway during April, depending on the date of Easter (see below). So please be sensitive to those Cypriots who might be fasting from meat. Although less common than it used to be, some fast for Lent, particularly during Holy Week. They will not appreciated a noisy barbecue in your back yard until Easter Day arrives. Greek Cypriot National Day (April 1st) is a public holiday if it falls during the week. While some supermarkets and the tourist shops may be open, businesses and other small shops are usually closed, as are schools. This day commemorates the freedom from British rule in 1955. The date is so significant that most towns have a road called ‘First of April Street’. As with Greek National Day, which is exactly a week earlier, there are parades in the streets with flags flying. There is also an opportunity for folk to attend a Greek Orthodox church service. Good Friday and Easter Sunday often fall during the month of April. Indeed, there may be two different Easters for Brits or Americans to celebarte in Cyprus, since the Eastern (Greek Orthodox) Easter does not always coincide with the Western (Protestant) one. There are no public holidays for the Western Easter holidays, but schools take their spring break during Holy Week (the week before Easter, which includes Good Friday) and the week after (including Easter Monday, which is another big public holiday). On the evening of Good Friday, you may be able to watch parades with local bands, and representatives from the local Orthodox Churches who carry flower-strewn coffins to a central point, where they meet for a short service. At midnight on Easter Saturday there is great celebration, as the faithful walk around church buildings shouting and cheering, sometimes letting off fireworks. Easter Sunday is then a day of feasting, with meat eaten (in some cases) for the first tme in seven weeks. Easter Monday is typically another festive day, where Cypriots gather with friends and relatives to relax and enjoy the sunshine.